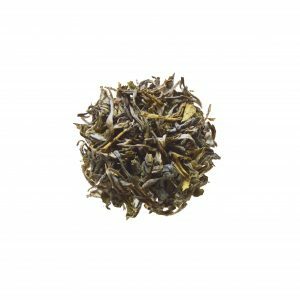 This exceptional green tea from the mountains of Northern Vietnam is harvested from wild trees by local farmers. Plunging deep into the rich highland soil, the roots of each tree seek out nutrients not commonly available to conventionally grown bushes, giving this tea a character all of its own. Pin Ho Jade is a very unique tea from Yen Bai region of Vietnam, in the central North of the country. Harvested from wild tea trees indigenous to the region, the trees are up to 500 years old with a continuous self- seeding process on the hills of the highland region. Because the tea comes from full grown trees (as opposed to bushes like their cultivated cousins), the roots of the tree penetrate deep into the soil, enabling them to access minerals that aren’t available to bushes. Tea is an integral part of the culture of the villagers who collect the tea. Most of the villages have a communal tea processing site where they can take their leaves to process them for their own use. The tribes of the Region – the Dao and the H’Mong have collected the tea for generations to use and to sell. The tea is FairTrade certified which has made a huge difference to the lives of people living in the villages. A bridge has been constructed meaning remote farmers can bring their product to neighbouring villages and market for most of the year. A primary school has been built which has provided a starting point for education that was otherwise absent for children living in deeply rural areas. Also a community centre has been constructed which has provided a space for members of the community to meet, celebrate and discuss matters important to the community.